Odyssea Watersports will happily answer your questions and provide any information that you need. Simply fill out the form below, click "Submit" and your request will be forwarded to Odyssea Watersports for their prompt attention. As soon as you step on our beach you will notice something different, picnic tables in the sand under plam trees, a garden with lots of colorful flowers, and sand toys for the little ones. And lots of people that are glad you are here. Customer satisfaction is our number one goal. We want you to have a great time on you vacation and we will work hard to make sure you do!! We look foward to seeing all the friends of Odyssea Watersports this summer, Its our 14th year and we have grown to know alot of you by first name, and we really do look foward to seeing you it means summer is here. 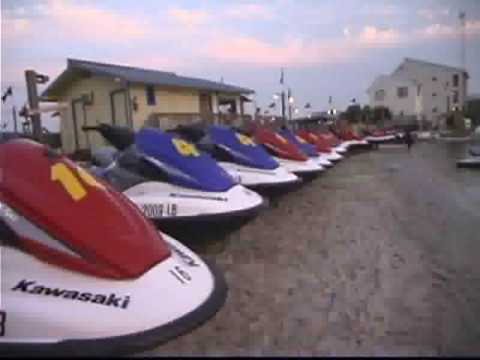 From my family to yours, welcome to the #1 watercraft rental in Ocean City, Odyssea Watersports. This promotion brought to you by Go-Maryland.com.